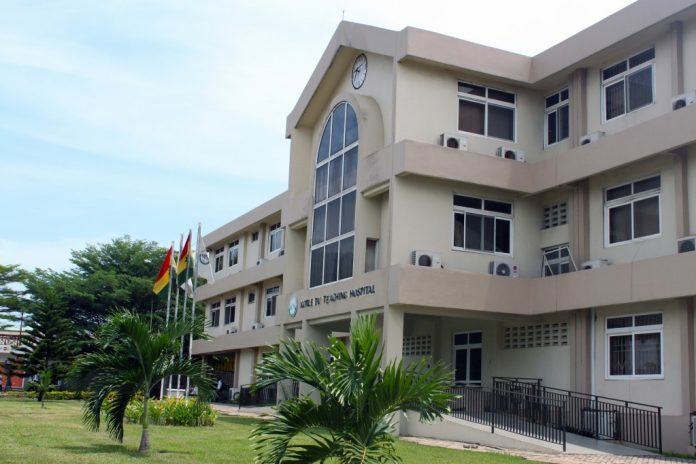 The recent agitations at the Korle Bu Teaching Hospital created confusion in the minds of the corporate governance fraternity as to the person in charge of the day to day administration at the hospital, whether it was the board chairman, Eddie Annan or the then acting CEO, Rev Albert Botchway. In one radio commentary on the matter, the presenter wondered who was in charge of the hospital’s administration. The observation was made that the chief executive’s voice had been drowned in the midst of the confusion at the hospital and it was the voice of the board chairman which had gained prominence in the goings on at the hospital. Quiet recently, a business magnate who was appointed to serve as the board chairman of a prominent state institution also lamented the fact of some board chairpersons who had constituted themselves into co-managing directors or co-chief executives and arrogated to themselves executive positions in the companies and even appropriated secretariats to themselves in the company’s offices. These board chairpersons were literally breathing down the necks of the managing directors or the chief executive officers. In the view of the business magnate, that practice is not healthy for effective corporate governance. This article aims at contributing to the debate on setting the line of authority between the chairman of the board and the managing director which has lately become an issue in corporate governance in Ghana. (1)There shall be established for the purpose of the management and administration of each teaching hospital a body to be known as the teaching hospital authority. (2)A teaching hospital authority is a body corporate and shall have perpetual succession and a common seal and may sue and be sued in its corporate name. Section 4 of the Act outlines the composition of the governing board all of whom are appointed by the president. Section 6 also provides for the appointment of a chief administrator who is responsible for the execution of the policies and decisions of the board and also for the day to day administration of the hospital. The chief administrator holds office on the terms and conditions determined by the president acting on the advice of the board. The Companies Act in section 179 also provides for the appointment of directors who are to ‘‘direct and administer’’ the business of the company. In section 193 of the Companies Act, the board is mandated to appoint one or more of their number to the position of managing director as the case may be. In addition to the power of the board to appoint the managing director under section 193 (a), the board is further mandated under section 193 (c) ‘‘to entrust to and confer on a managing director any of the powers exercisable by them on the terms and with the restrictions that they think fit and collaterally with or to the exclusion of their own powers and subject to the terms of an agreement entered into in a particular case, may from time to time revoke or vary all or any of those powers’’. However, in as much as the board is mandated to appoint one or more of their number to the position of managing director, any such appointment is often temporary. Most often, board members are appointed on temporary basis to take up the position of managing director or chief executive for brief periods when the substantive managing director resigns, retires or is relieved of his position by the board pending the appointment of a new person. It is submitted that the board of Korle-Bu Teaching Hospital created a problem for itself when it appointed one of their number to the position of acting CEO for an unusually long period when the incumbent retired. It must be emphasised that the anomaly created by the board with the appointment of Rev Albert Botchway as acting CEO drew the board chairman into needless controversy when he was often on air seeking to justify the actions of the acting CEO for good or for bad. It must be noted that by section 36 of the Hospitals Administration Act, the hospital authority of which the chief administrator and the board chairman formed a part are required to submit a report on the administration of the hospital to the minister of health on a yearly basis. This situation is partly accountable for the confusion which rocked the administration of the Korle-Bu Teaching Hospital and created the anomalous situation of drawing the board chairman unnecessarily into the public domain where he had to appear on radio several times to seemingly give a stamp of approval to the actions of the chief executive. This is because by giving the president the power to appoint the board and the chief executive, the board found itself handicapped with respect to the implementation of section 36 of the Act. Accordingly, the board chairman is bound to usurp the functions of the CEO. In response to several corporate scandals around the world and particularly with a view to improving corporate governance, the UK government set up a number of committees to review the corporate governance regime in the UK. Among the committees, the Cadbury Committee, chaired by one of the industry captains in the UK, Sir Ian Cadbury made the most far reaching recommendations with respect to the governance structure of UK companies. To ensure the effective governance of the corporate entity, it was recommended by the Cadbury Committee that there should be a clear separation between the functions of the chief executive and the chairperson of the board and that the two positions should not be occupied by one person. Among other things, the Cadbury Report emphasised the following core matters to be dealt with by the board chairman. The chairman is to offer effective leadership to the board by setting the board’s agenda, ensuring the receipt of accurate and timely data by the board, ensuring effective communication between the board and shareholders and creating a conducive environment for constructive exchanges between the non-executive and executive directors of the board. The chief executive officer or the managing director is to be responsible for the day to day management of the company and should submit periodic reports on the affairs of the company for the consideration of the board. It should be noted that the situation created at Korle-Bu during the last days of the Eddie Annan board presented an anomalous situation for the hospital and its board of directors. While the appropriate situation would have been for the board chairman to confine himself to the running of the board and leave matters of the day to day administration of the hospital to the acting chief executive, the board chairman invariably immersed himself into the day to day affairs of the hospital’s administration. In that situation, one did not know whether the board chairman was usurping the functions of the chief executive or he was shoring up the position of the beleaguered chief executive. Nevertheless, the board chairman could not be completely faulted because the Hospitals Administration Act, PNDCL 209 under which he was operating did not set any clear lines of authority for him vis a vis the chief executive officer since they were all appointed by the same authority to carry out a common purpose . It is submitted that the Hospitals Administration Act, as it currently stands is not in conformity with good corporate governance practices. It is recommended that the Act should be reviewed in line with good corporate governance practices. The appropriate thing would be for the Minister of Health or the President to appoint the board and for the board to appoint the Chief Executive Officer who shall be answerable to the board while the board becomes answerable to the government through the president or the minister who is the appointing authority. In that case, the board will derive the necessary powers to superintend over the affairs of the chief executive officer of the hospital and thereby completely delineate the line of authority between the chairman of the board and the chief executive. It may therefore be appropriate to review sections 4 and 6 of the Hospitals Administration Act of 1988 to bring it in line with modern corporate governance practices where shareholders appoint the board and the board appoints the chief executive officer. The writer is a lawyer with specialisation in international business law.